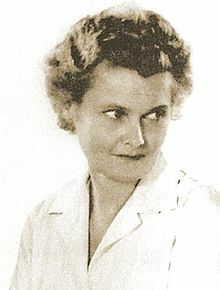 Joy Adamson (born Friederike Victoria Gessner; 20 January 1910 – 3 January 1980) was a naturalist, artist and author. Her book, Born Free, describes her experiences raising a lion cub named Elsa. Born Free was printed in several languages, and made into an Academy Award-winning movie of the same name. In 1977, she was awarded the Austrian Cross of Honour for Science and Art. Joy Adamson is best known for her conservation efforts associated with Elsa the Lioness. In 1956, Joy’s 3rd husband, George Adamson, in the course of his job as game warden of the Northern Frontier District in Kenya, shot and killed a lioness as she charged him and another warden. George later realized the lioness was just protecting her cubs, which were found nearby in a rocky crevice. Taking them home, Joy and George found it difficult to care for the all the cubs needs. The two largest cubs, named “Big One” and “Lustica” were passed on to be cared for by a zoo in Rotterdam, and the smallest “Elsa” was raised by the couple and their pet rock hyrax, Pati-Pati. After some time living together, the Adamsons decided to set Elsa free rather than send her to a zoo, and spent many months training her to hunt and survive on her own. They were in the end successful, and Elsa became the first lioness successfully released back into the wild, the first to have contact after release, and the first known released lion to have a litter of cubs. The Adamsons kept their distance from the cubs, getting close enough only to photograph them. In January 1961, Elsa died from disease resulting from a tick bite. Her three young cubs became a nuisance, killing the livestock of local farmers. The Adamsons, who feared the farmers might kill the cubs, were able to eventually capture them and transport them to neighboring Tanganyika Territory, where they were promised a home at Serengeti National Park. In The Story of Elsa, a compilation of the books about Elsa, Joy Adamson wrote: “My heart was with them wherever they were. But it was also with these two lions here in front of us; and as I watched this beautiful pair, I realized how all the characteristics of our cubs were inherent in them. Indeed, in every lion I saw during our searches I recognized the intrinsic nature of Elsa, Jespah, Gopa and Little Elsa, the spirit of all the magnificent lions in Africa”. Using her own notes and George’s journals, Joy wrote Born Free to tell the lions’ tale. She submitted it to a number of publishers before it was bought by Harvill Press, part of HarperCollins. Published in 1960, it became a bestseller, spending 13 weeks at the top of The New York Times Best Seller list and nearly a year on the chart overall. The success of the book was due to both the story of Elsa and the dozens of photographs of her. Readers had pictures of many of the events of Elsa’s life leading up to her release. Subsequent books were also heavily illustrated. Born Free received largely favorable reviews from critics. Adamson worked closely with publishers to promote the book, which contributed to the Adamsons’ new-found international celebrity. She spent the rest of her life raising money for wildlife, thanks to the popularity of Born Free. The book was followed by Living Free, which is about Elsa as a mother to her cubs, and Forever Free, which tells of the release of the cubs Jespah, Gopa and Little Elsa. Adamson shared book proceeds with various conservation projects.